Do you know google record all your past activity on Google Maps. You can check this link : https://www.google.com/maps/timeline?pb and Google will show you the "Most visited" places with a timeline view. You can see on which day, month or year you have visited a place with details timing and route. Google started the recording of location activity of users through google maps since 2009. 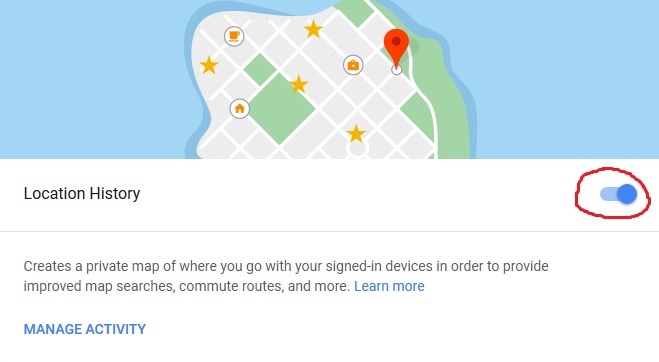 Google has an option to manage your location History on the google map, and if you will activate it then google will no longer record your location activity anymore. And here is a simple step by step process to disable google location history recording. At first you need to open the google location history URL and then you need to switch to timeline view of the "Most visited" places. After that click on "Manage Location History" tab. And now in Manage Location History you will see a blue button. Just click the blue button and pause it. After pausing the location history function the blue button turns into white. That's it. 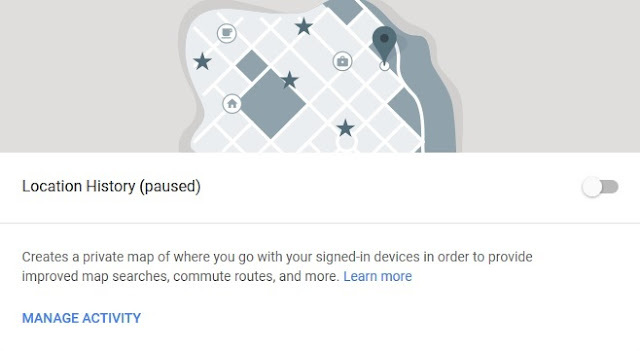 You have now disabled your google map location history recording. Google does not have the function to completely turn off the function. But you can pause the location history feature to avoid future recordings of your locations.